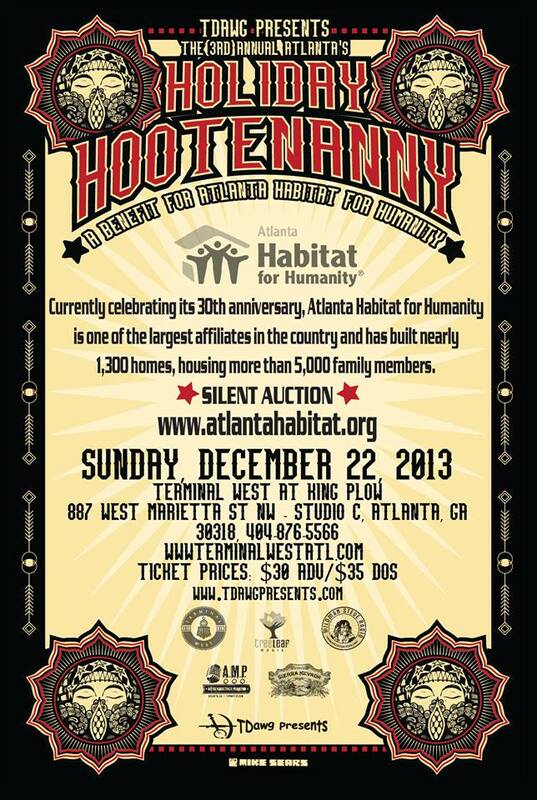 Holiday Hootenanny & Silent Auction! * The Silent Auction will feature some fantastic items up for auction! Including a cabin for two on the Sandy Beaches Cruise, hosted by the legendary Delbert McClinton and featuring fellow luminaries Marcia Ball, Paul Thorn, Richard Thompson, Holiday Hoot alum Jimmy Hall and Fred Eaglesmith, as well as Lukas Nelson & The Promise of the Real, plus so much more!! An autographed guitar by Los Lobos, a guitar to be signed at this year’s 25th Annual Christmas Jam, an autographed photo of Greg Allman and Mama Louise (love! ), a $150 catering certificate to Bhojanic, a deluxe overnight stay at Callaway Gardens, a signed acoustic guitar by all participating Holiday Hootenanny musicians, and so much more! The auction will begin in person at 5pm on Sunday, December 22 and sooner online. Enjoy live music by Sans Abri featuring members of Packway Handle Band while you browse the auction items! And just think, proceeds from this concert will go directly to Atlanta Habitat for Humanity!! Complete information for the auction will be out next week! Now that the announced lineup is firm, the fun has started in constructing the flow for the evening 😉 Rest assured your anticipation will be outdone! Expect some surprise special guests to show on up for this one – this show is going to be so damn fun you aren’t going to know what to do with yourselves! Starting with the Silent Auction on through the entire evening, you will stop wondering how you are so lucky to be attending this event and believe that you were meant to be a part of some musical memories that will last a lifetime! Get your advance tickets now online at the Terminal West website (or in person at their box office to avoid a service fee), committing to a cause far larger than the music itself, and enjoy one of the finest music experiences you will happen upon! One of my favorites clips from last year’s edition is this instrumental jam featuring Papa Mali and Co. tearing it up. Enjoy! 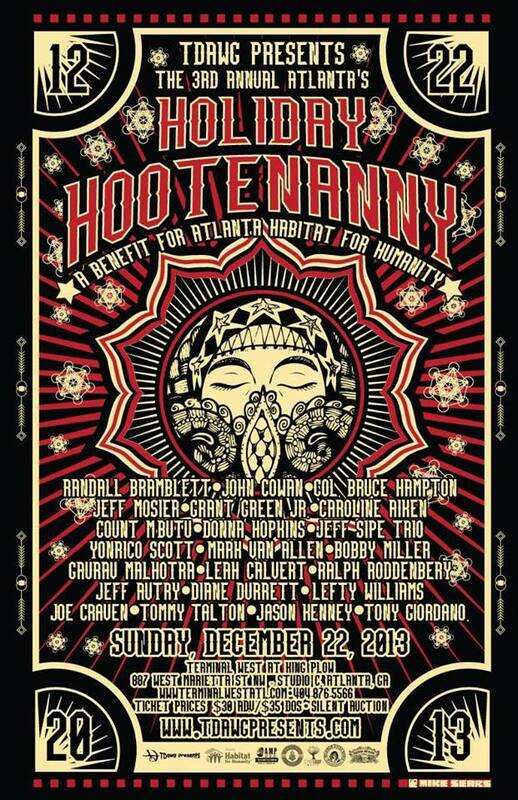 ← Atlanta’s Holiday Hootenanny News! !